Maybe we just talk way too much. It’s not surprising, considering out environment… How quiet is the space you’re in, right now? How loud is the traffic? Do we even know what “silence” is? (Never mind what it can actually do in our lives). Sometimes we just need to shut up. As Elijah is looking for something, the biggest and flashiest events that God can muster roll by him. But God isn’t there. And only when Elijah is quiet enough to hear the “voice of silence” can he come to the edge of the cave and hear what God wants to ask him. 1. What might God want to ask you? 2. Can you hear the voice of silence? So many of us desire direction. So many of us are hungry to hear that centering Spirit, that voice. We are in caves, and we don’t want to be there. We are waiting to be called. But we also just won’t. stop. talking. We muster our own wind, and earthquakes, and fires by the things we say about God, about what we want from him, when all the time He is waiting for us to just be quiet, so that we can hear that “grain-of-sand voice”. 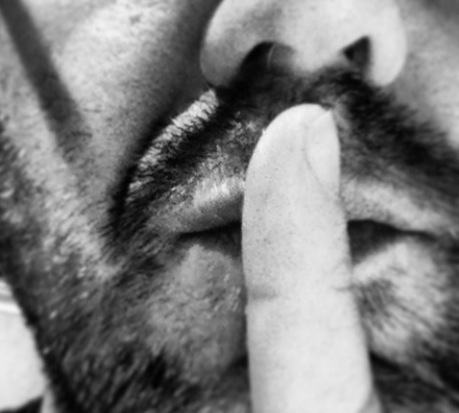 Are you willing to be silent to hear God? Are you willing to trade your “earth, wind and fire” (never gets old, but just try to watch that video without smiling) for the voice of silence? This entry was posted in faith and tagged 1 kings 19, elijah, gospel artists, silence, solitude. Bookmark the permalink. ← Why Not Become a Professional Christian? never thought i’d be convicted by DEPECHE MODE but okay. words like violence INDEED. someone who never shuts up.